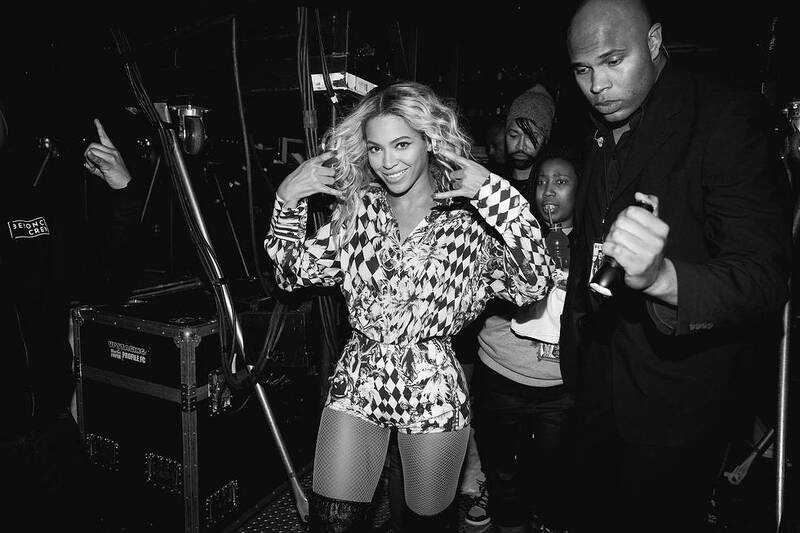 Beyoncé’s ‘The Mrs. Carter World Tour‘ show recently stopped in Chicago. During her set, Bey changed into a custom-made Balmain all-in-one which was designed by the brand’s Creative Director Olivier Rousteing for her “XO” performance. Head over to YouTube to watch the performance. 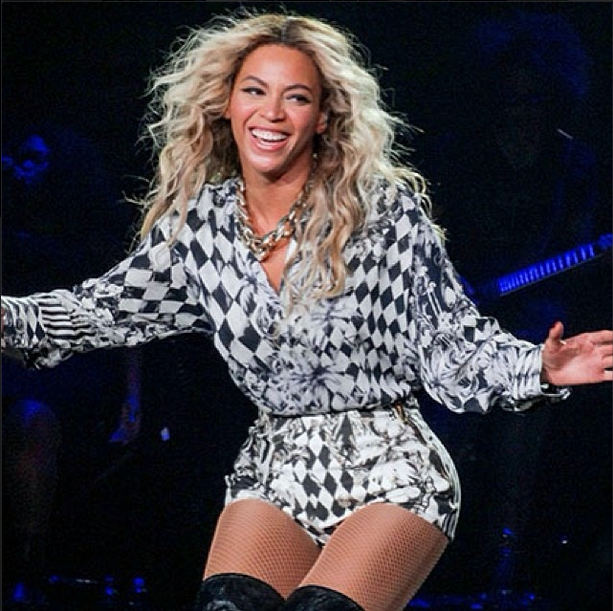 Last night was Bey’s first time performing “XO“. She said to the crowd, “this is the first time, something I’ll never forget. I love y’all so much“. “XO” is set to be Beyoncé’s second single at Top 40 in 2014. Beyoncé is set to debut No. 1 on Billboard’s Top 200 album chart next week. Beyoncé has now sold over 500,000 copies in just two days, according to Billboard. With two more days left in sales tracking week, Bey’s fifth solo effort could sell over 600,000 copies. 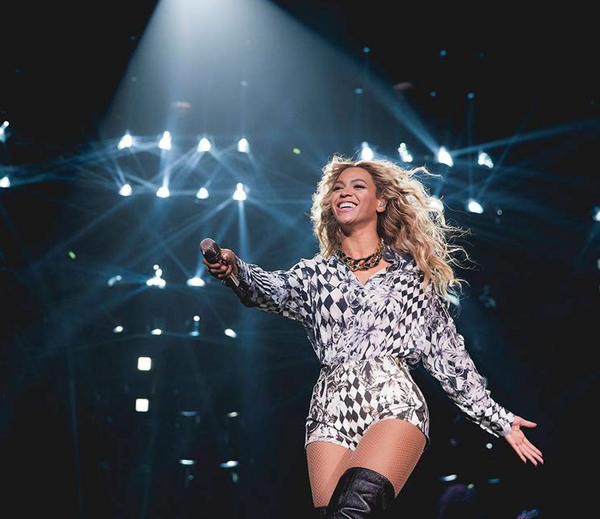 Read my Beyoncé full recap here! 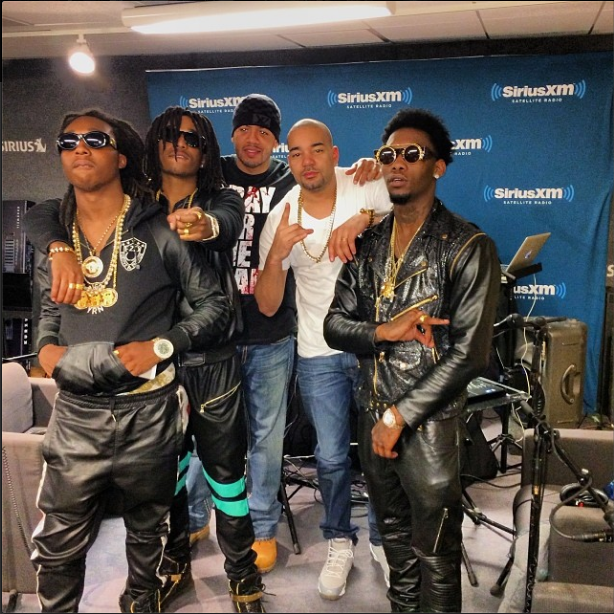 Last week, Atlanta’s Hip-Hop duo Migos (Takeoff, Offset and Quavoyrn) were in NYC doing some press for their upcoming mixtape YRN 2 which they will drop independently via Quality Control Music. During their promo run, the buzzing music group stopped at BET, MTV, The Source magazine and Sirius XM radio. 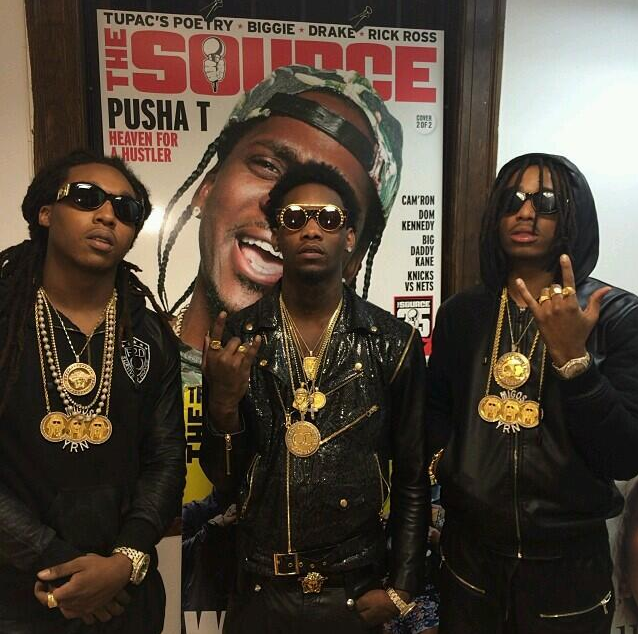 They looked dope in their black leather ensembles paired with Giuseppe Zanotti sneakers. The duo recently dropped the official visual to their street single “Hannah Montana“. Head over to YouTube to watch it. Their last mixtape, YRN is now available on iTunes. Early Friday Morning (December 13), iconic R&B/Pop singer Beyoncé shocked the world and abuzz the Internets when she secretly released her new self-titled album exclusively through iTunes (a physical CD-DVD double-disc will be available at music retailers on Dec 21st). This was a great Christmas gift for the BEY-Hives! Bey’s fifth solo offering is a 31 songs and video collection dubbed a “visual album“. On the project, Bey gets assists from her daughter Blue Ivy Carter, husband Jay-Z, longtime friends Kelly Rowland & Michelle Williams, The Dream, Drake, Justin Timberlake, Pharrell, Timbaland, Miguel, Hit-Boy and others. The 17 music visuals were shot throughout the world in Paris, New York, Sydney, and Rio De Janeiro during ‘The Mrs. Carter World Tour‘. Bey’s visual album broke down barriers as well as raised the bar and set new music standards. The project is set to debut No. 1 on Billboard’s Top 200 album chart next week. 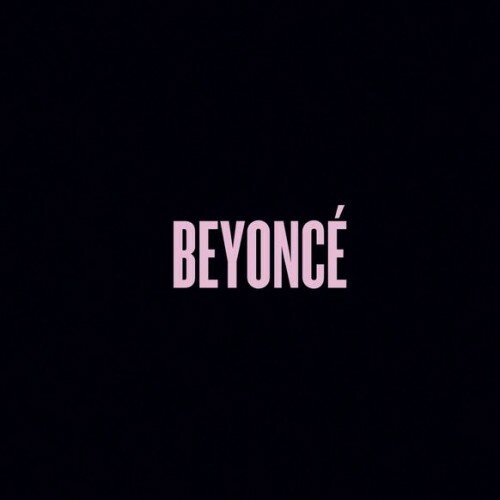 Beyoncé has now sold over 430,000 copies in just one day, according to Billboard. With two more days left in sales tracking week, Bey’s fifth solo effort could sell over 600,000 copies. Once the final numbers are released, Beyoncé will easily become the biggest debut album by a female since Taylor Swift’s Red album which sold 1.2 million copies in its opening week in November 2012. This album will also be Bey’s best debut week-and best sales week period-of her career. Her 2006’s B’day sold 541,000 copies in its opening week. Beyonce took the music industry by storm! Now she is ready to blaze radio. Beginning this week, the two singles off the album will make their impact on radio. The Pharrell Williams-produced “Blow” will be serviced at Top 40, while the Jay-Z-assisted single “Drunk In Love” heads to R&B/Hip Hop channels. The Dream penned “XO” will follow in 2014 as the second single at Top 40. R&B songstress Keyshia Cole will bring in the holidays in a musical way. The “Enough Of No Love” singer is readying a new mixtape which will drop in December. The project is the follow-up to KC’s 2012 album, Woman To Woman which performed poor on the charts. Woman To Woman debuted at number 10 on the Billboard 200, selling only 96,000 copies in its first week. 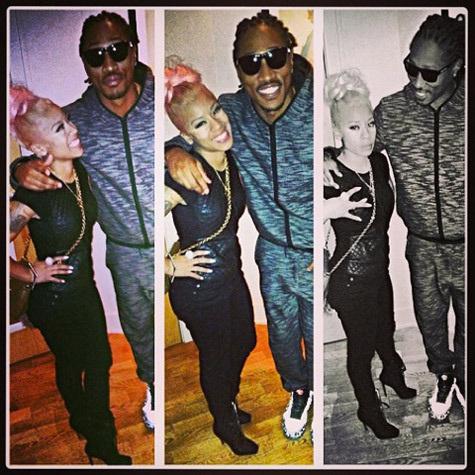 Aside from her mixtape, KC is working on her sixth studio album and she recently reconciled with her former manager Manny Halley. 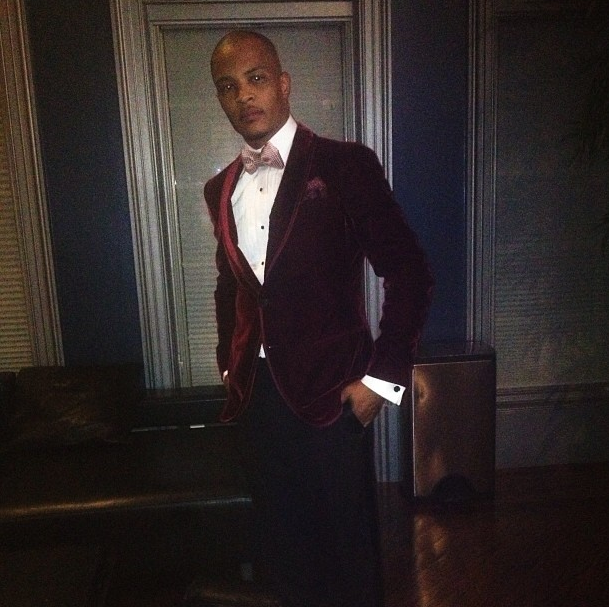 Back in January, YDBR reported that multi-platinum selling Grammy Award winning rapper T.I. had fulfilled his contractual obligations with Atlantic Records, after dropping his Trouble Man: Heavy Is The New Head album and was on the verge of signing with Sony/Columbia Records. See the original post here. We also reported that T.I. and Grand Hustle CEO’s Jason Geter met with the head honchos of Sony Records to discuss a “big deal”. The big names in the room included Doug Morris, Chairman & CEO of Sony Music Entertainment; Shawn “Tubby” Holiday, A&R Sony Music; Mark Pitts, President of Urban Music at RCA/Sony and founder of Bystorm Entertainment; and Peter Edge, CEO of Sony’s RCA Music Group. During the meeting, T.I. was shopping a $75 million deal which will include three albums, 10-20% of publishing, touring, merchandise, film and TV rights, corporate endorsement deals, and exclusive singing of all Grand Hustle artists. See the original post here. T.I. 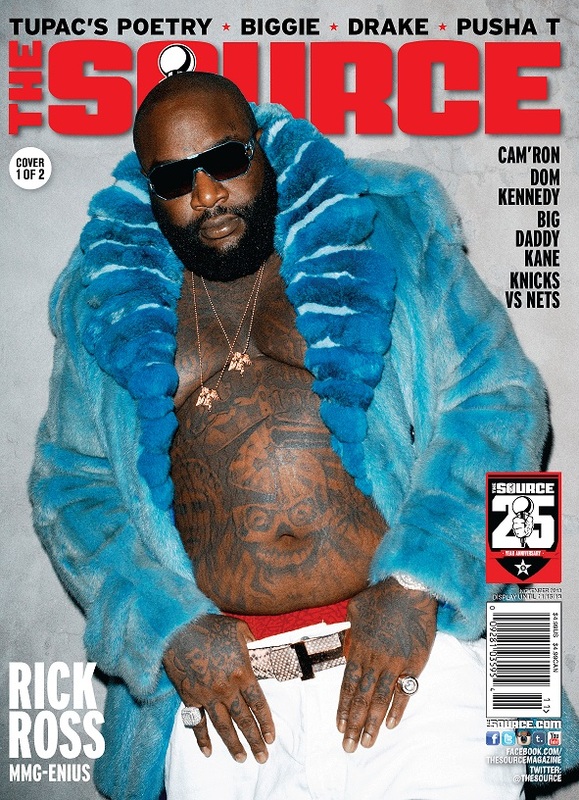 is no longer a free agent or shopping a major distribution deal for his Grand Hustle label. As part of the deal, Columbia plans to release T.I.’s ninth album, Trouble Man: He Who Wears The Crown early next year via Grand Hustle/Columbia. It is being reported that music producer Pharrell Williams will be overseeing the project and serves as executive producer. T.I. 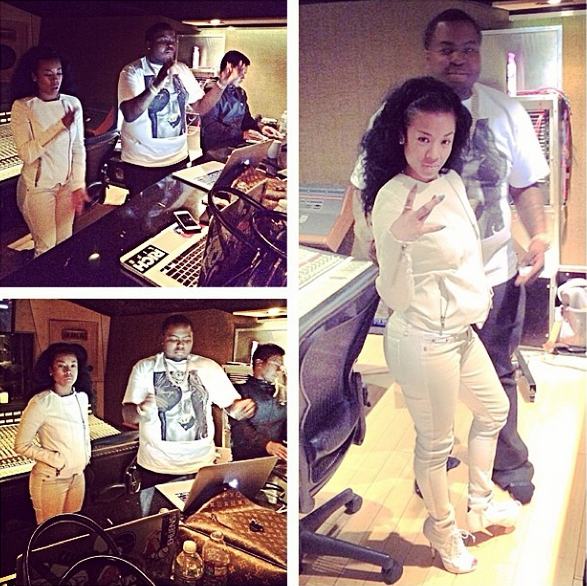 has also been in the studio with Timbaland and DJ Toomp. The Atlanta-native has sold over 14 million albums and 30 million singles to date and scored four No. 1 singles on the Billboard Hot 100. Tagged as Columbia Records, Grand Hustle, Just Like YDBR Previously Reported: T.I. & Grand Hustle Inks Partnership With Columbia Records, T.I. Despite having issues with his current label, Def Jam. 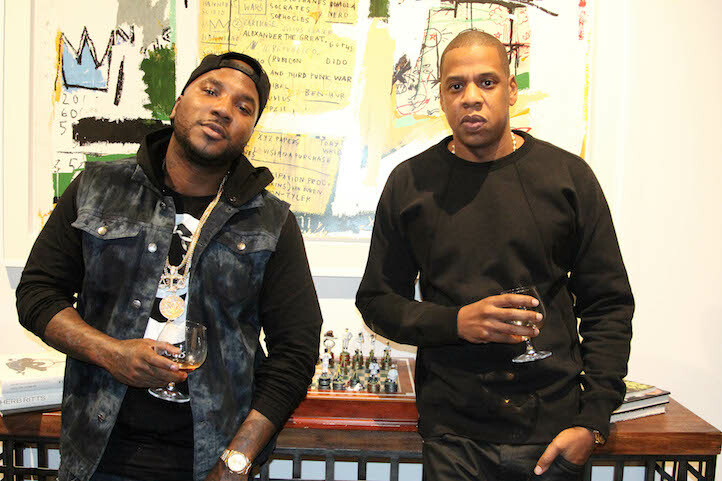 Multi-platinum rapper Jeezy joined forces with Jay-Z and is now signed to Roc Nation management. The news was announced via Jay-Z’s site Life + Times. Details about the deal are still unclear as the time of the press, but expect a lot of business ventures and endorsements in the coming months. Jeezy isn’t the only rapper that’s having issues with his label, Def Jam. Harlem’s own Juelz Santana is also going through it with the prominent Hip-Hop label. He sent out a few tweets venting about his problems with the label. He still doesn’t have a release date for his long-awaited forthcoming LP, Born 2 Lose, Built 2 Win. 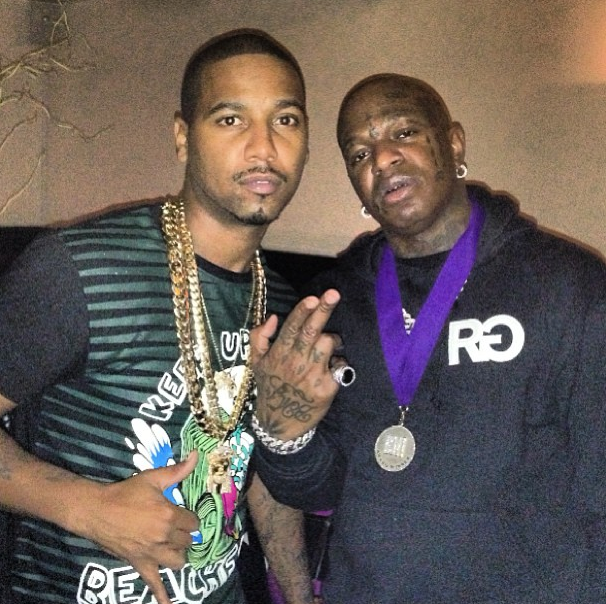 Back in September, Birdman confirmed via MTV’s RapFix that he was in the process of signing a well-known established rapper from New York who had already released major albums to his Rich Gang/YMCMB imprint. I can attest that the rapper is Juelz Santana. The deal should be finalized by the end of 2013 and an announcement should be made in the coming weeks. YDBR can confirm that Beyoncé secretly filmed a new visual in NYC last night Tuesday (November 19). This is the second visual that she filmed so far for her new album which is rumored to be dropping by the summer of next year (2014). Back in August, Bey filmed a visual in Brooklyn’s Coney Island Park for her upcoming single “XO“. See the original post here! Yesterday evening on a chilly Manhattan night, Bey invaded the streets in a $3,195 Burberry Metal Plate Vinyl Trench Coat paired with silver pumps and went to work. At the time of the press, I am not able to confirm what song she filmed a visual for. Bey is giving us fashion in her Burberry trench. Bey’s velvet-finish vinyl trench coat features polished metal detailing, unlined for a translucent appearance, the vinyl contrasts with hand-applied epaulettes, topcollar and pocket trims in bold polished metal. The metal belt featured is not supplied. You can purchase this coat at Burberry. Earlier this week, Foxy Brown was supposed to release her new track. The Brooklyn-native took to her official Instagram account @BadGyalFox and confirmed that she is releasing her long-awaited single “Bandz Up” on Christmas Eve, followed by a mixtape of the same name. “In light of a recent tragic loss and time constraints; as a team we’ve decided to reschedule our date to Christmas Eve,” said Foxy Brown. Back in August, Foxy performed the single on MTV’s ‘RapFix’ during the MTV Awards week. The multi-platinum female rapper hasn’t released a full length studio album since Broken Silence which dropped in 2001. In 2008, she released a mixtape, entitled Brooklyn’s Don Diva. Are you looking for to the Ill Nana comeback? We’re still riding with Foxy over at YDBR! 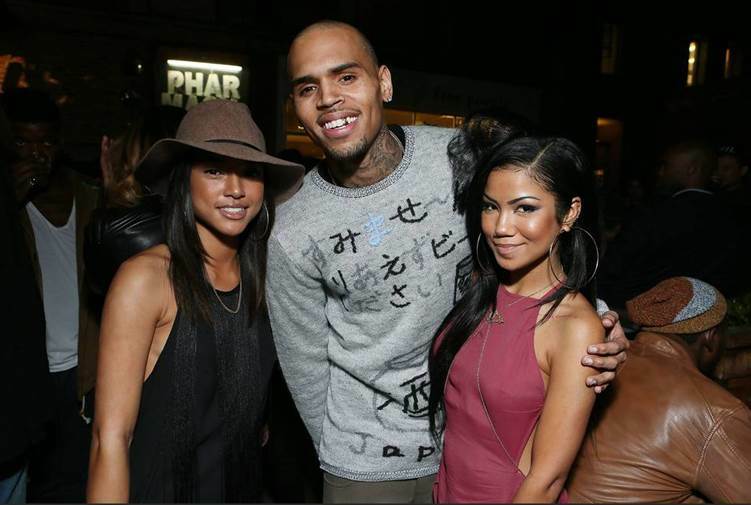 This past Thursday (November 14), Hennessy V.S sponsored Def Jam’s recording artist Jhene Aiko’s Sailout EP release event. 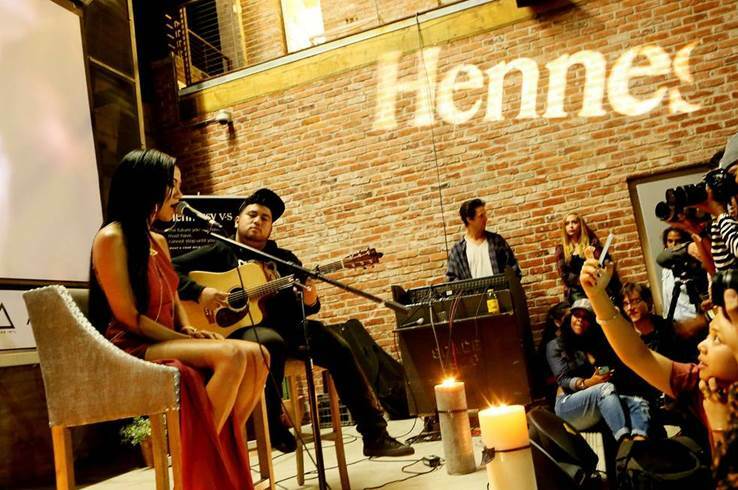 Guests and fans filled the courtyard of Space 15 Twenty and sipped on Jhene’s Hennessy V.S specialty mixed drink “Happy Juice” (Hennessy and Apple Juice). Guests listened to vibes provided by Dot Da Genius, watched Jhene’s music videos “Bed Peace” and premiered her new video “The Worst” before giving her fans a short performance. 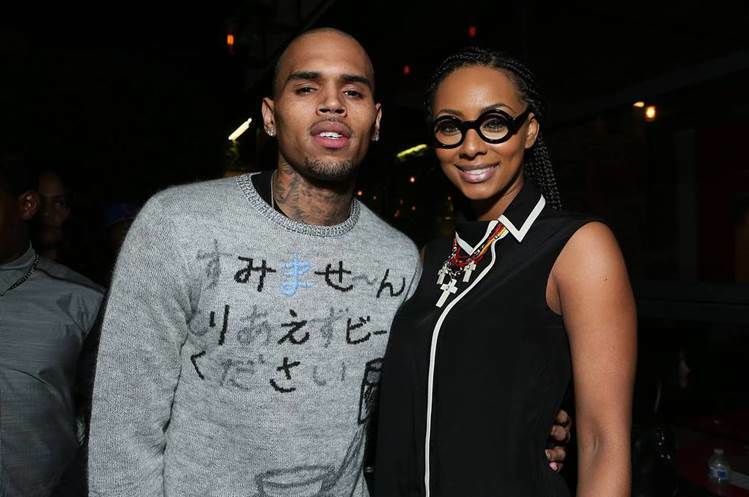 Several VIP’s were in attendance to support the rising star such; Keri Hilson, Chris Brown, K Roosevelt, Hit-Boy, Luke James, MMG artists Omarion and Stalley, Karrueche Tran and America’s Next Top Model star Eva Marcille. After her performance, Jhene thanked everyone for all the support and gave a special shout out to Hennessy V.S for fueling her creative process. “It’s just like being blessed by the Hip-Hop Gods. They only open the Bible but for so many. I remember when Wu-Tang sucked all the air out of Miami, I was still in high school and it was the f*ckin’ Wu-Tang; n****s from the dirtiest areas and streets of America. “I took my time. I toured with the team. Last album, I toured with the team and went back into this album. The approach production wise, the overall agenda for the music and the album, I took my time. 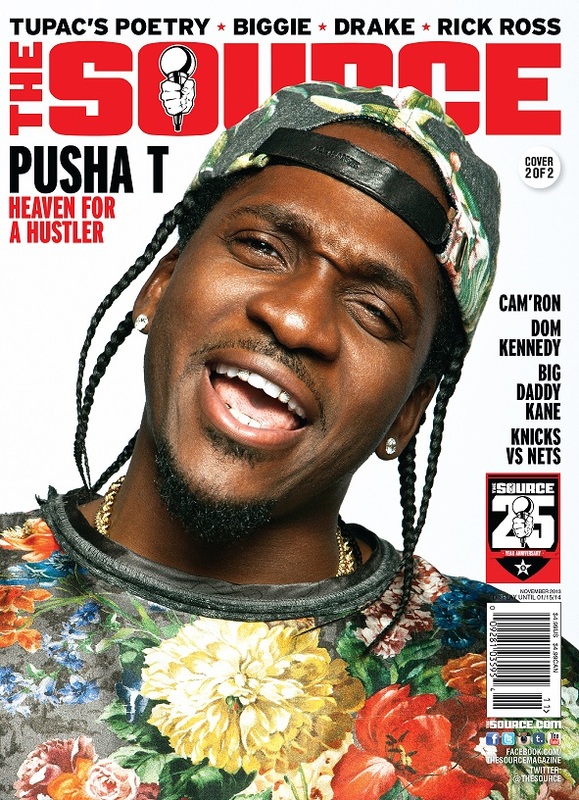 Both issues hits newsstand nationwide on November 26th.